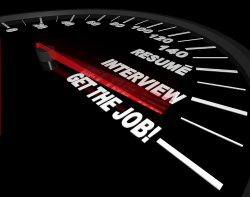 With many of America’s major cities, facing 8-9 applicants per post, the competition for jobs is officially ‘fierce’, and job seekers must prepare a professional standard resume if they are to even get an interview, let alone get a job. Jobseekers with enough financial resources may choose to hire a professional resume writer to ensure that they are in possession of a first class resume. But, this is not the only way to create a great resume; by using the free career advice and resume template resources on the web, you can create your own quality resume that will sit up their proudly with the best of them. Free Resume Help from Recruiter.com – When you are crafting your resume, you’ll want to make sure you’re including the right info. 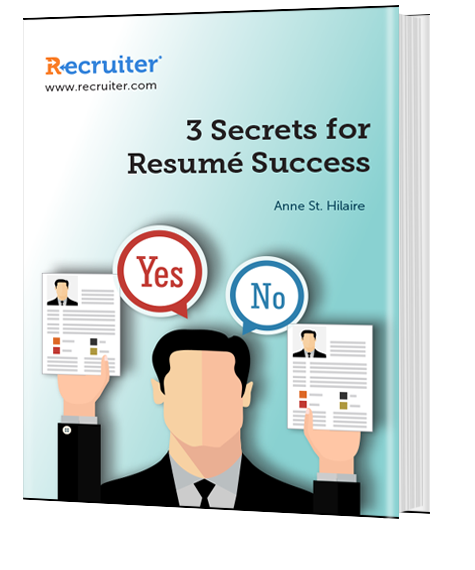 Download our free eBook: 3 Secrets to Resume Success and get the resume you need for job search success. Below, I have identified and summarized some of the best free sources of advice and free resume templates on the web. Career Perfect is an excellent source of resume advice and seems to have an excellent reputation on the Internet too. It has a comprehensive bank of advice covering Resumes, e-Resumes, CVs, Cover Letters, Letters of Application, Federal Resumes, KSA, SES, ECQ and Government jobs. Monster.com is the most popular online job board in America (alongside CareerBuilder), and is a trusted brand. The Monster resume advice section contains 100 resume writing articles and 31 cover letter advice writing articles, all written by named writers who will stand by what they say. One additional advantage of Monster is that, being international, you can use it to find good quality resume advice on destinations outside the USA. Tied with Monster as the leading online jobs portal, Careerbuilder.com also contains an extensive library of good quality resume advice, written by named authors, which enhances the credibility of the advice. With 2323 inbound links Theladders.com is a jobs and careers portal with an extremely high reputation. It has about 70 resume advice articles, all written by named authors, with detailed personal profiles who have experience in recruitment and hiring. This makes it one of the most credible sources of resume writing advice in my opinion. Containing a range of good quality resume templates — in addition to its resume writing advice — Career Perfect is an excellent one stop shop for job application preparation. The sites contains 12 high quality resume templates covering different industries, and it also includes templates for graduates and ex military. Google Docs offer a gallery of free resume documents prepared by named contributors. However, these templates can be uploaded by anyone and so there is limited quality control. However, it contains literally hundreds of resume templates and includes a rating for each resume template, which helps to you to spot quality. This site could be helpful if you are recruiting for a niche role as this site offers so many template variations. Monster has an almost exhaustive library of free, quality resume templates, spanning over 20 professions/industries and averaging about 5 templates per category. This is a very extensive source of varied for resume models. Instant Resume Templates contains 125 free to download resume templates and, with 89 inbound links, has a reasonable reputation too. It does not have the ‘bells and whistles’ of Monster but it ‘does what it says on the tin’ and provides a lot of good quality resume formats. Microsoft is another great source of free resume templates and, as you can imagine, the list of templates is somewhat endless. Most of the templates are provided by named, resume writing specialists and so the quality is very good. Add keywords. Include a large amount of keywords about your particular skills and include a lot of popular jargon for your industry. Work these words into your text and you may wish to consider entering a separate keyword section at the bottom of your resume. This will help your resume get picked up by applicant tracking systems. Quantify your skills. Be sure to include hard data about your accomplishments, like revenue achieved, budgets managed, and people managed. Keep it simple. Certain free resume templates may contain spots for graphics or images. Be very cautious when using any kind of image, unless you are a professional designer. Make it unique. Be sure to never use the stock template language, especially for important parts of a resume such as the objective statement. Objectives such as “To obtain a career in finance” do nothing to advance your personal brand or make a unique impact on the resume reviewer.